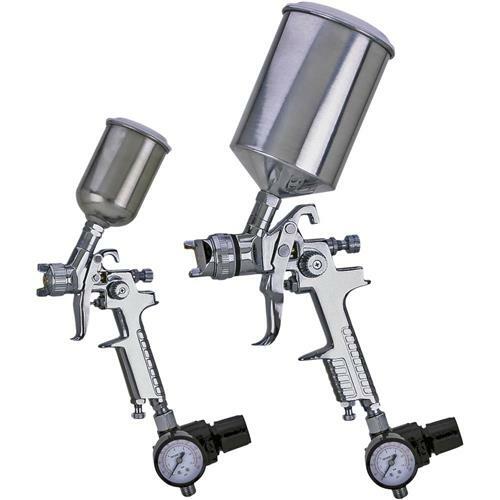 This Spray Gun Set includes 2 lightweight gravity feed HVLP spray guns with adjustable spray patterns and two stage triggers. Pressure gauges and regulators control air pressure right at the gun. Includes aluminum cups. Small Gun - Low to medium solids (lacquers, epoxies, stains). Not compatible with water-based materials. Large Gun - Medium to high solids. Not compatible with water-based materials.